Based in Gloucestershire, England, Gallery Pangolin opened its doors over twenty-seven years ago. The gallery was initially conceived as a showcase for the sculpture cast by Pangolin Editions and coincidentally revived a traditional 19th century association between art foundry and gallery. 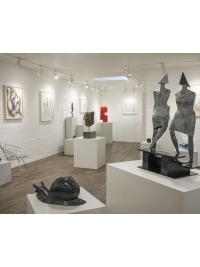 Specialising in Modern and contemporary sculpture and sculptor's drawings, Gallery Pangolin has rapidly established a reputation for works of quality and excellence. 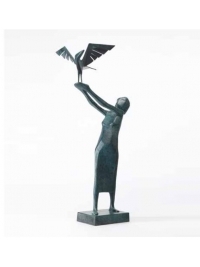 Sculpture is always on show in the gallery with an exciting programme of themed, group, and solo exhibitions. Gallery Pangolin also co-ordinates commissions, exhibits at major art fairs and curates shows for other venues. 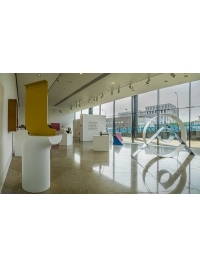 Located in a purpose-built gallery near Kings Cross, Pangolin London opened in October 2008 and continues to deliver a rotating exhibition programme of the highest quality. In addition to exhibitions in the gallery, Pangolin London also curates a changing exhibition of large scale sculpture throughout the public spaces and canal-side at Kings Place. Ten kilometres north of Kasese and in the foothills of Uganda’s impressive Rwenzori Mountains lies Rwenzori Founders, a bronze-casting facility and award-winning sculpture gallery. 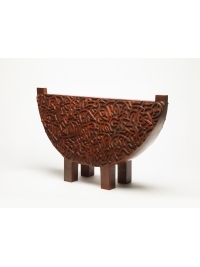 Supported by UK charity the Ruwenzori Sculpture Foundation, this rural centre for the arts was launched when three Ugandan craftsmen who trained at Pangolin Editions foundry in England returned home in 2008. It has since grown rapidly and the local team now boasts fourteen members. Unprecedented in Uganda, the foundry offers sculptors the opportunity to have their work cast into bronze in well-equipped studios and with skilled craftsmen on hand at every stage of the process. The architect-designed Rwenzori Sculpture Gallery is rapidly becoming a popular tourist destination and exhibits a selection of bronzes produced by the foundry as well as other works created during workshops and residencies hosted on site. Established in 1984, Pangolin Editions is one of Europe's leading sculpture foundries casting for an international clientele and to any scale. 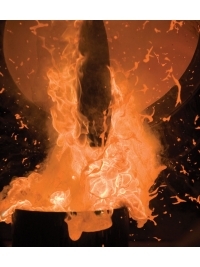 It is one of the few foundries still practising the traditional skills of lost wax block investment casting. In addition to the lost wax facilities a 3,000 square metre unit houses the sand moulding process where the largest of monuments can be enlarged, moulded or fabricated. The foundry prides itself on fine craftsmanship. Alongside cutting-edge technologies, each bronze is hand crafted using time-honoured skills to produce a distinctive, faithful and accurate finish. Artists, craftsmen, biologists, palaeontologists and conservationists were all in involved in this project over three years. 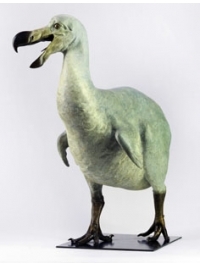 The aim was to reconstruct a definitive image of the Dodo and twelve other extinct species from the Mascarene Islands, to a perfection never before attempted. 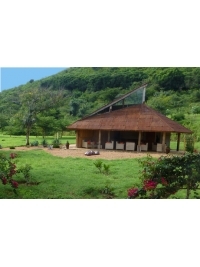 The project was originally conceived by Claude Koenig and Rungwe Kingdon of Pangolin Editions together with Dr Carl Jones of the Durrell Wildlife Conservation Trust and director of the Mauritian Wildlife Foundation's fauna conservation programme for many years. They enlisted the support and expertise of other experts and of the sculptor Nick Bibby, whose incredible skill in rendering flesh, feather, scale and claw is unrivalled. The project hopes to draw attention to the tragedy of extinction and also to inspire a deeper understanding of the vital need for conservation. A bronze cast of each extinct species has been permanently sited on the Ile aux Aigrettes, which lies off the southeastern shore of Mauritius and has become the Mauritian Wildlife Foundation's conservation showpiece. Jon's own website covering his work from the early 1980's to the present. Contains many more images and his own comments on each period. Terence's own website with further images and information on his work, including a short film made by The Guardian.